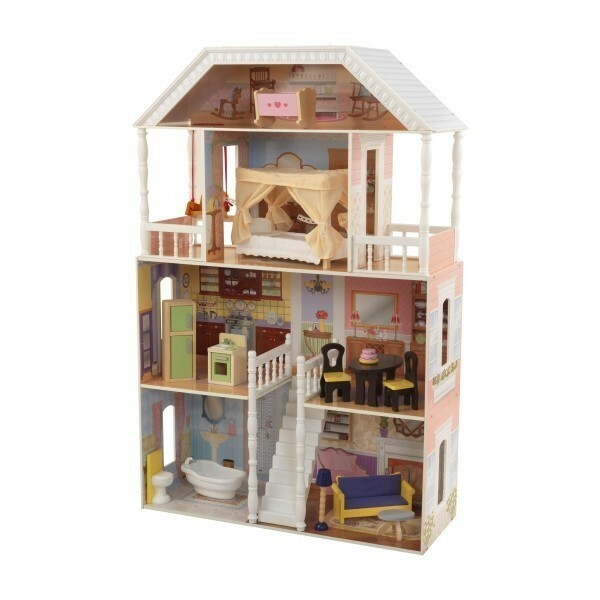 If you have ever been to the southern states of the US, you immediately recognize the style of the houses as seen in the movie Forrest Gump in Georgia, USA. 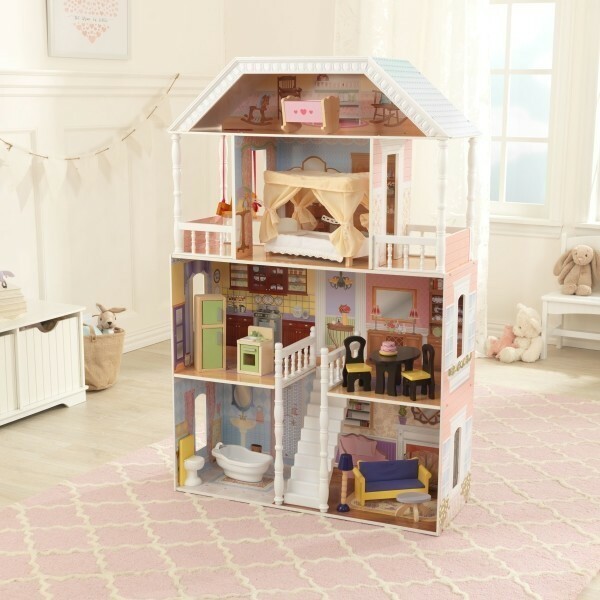 The Savannah Dollhouse from KidKraft (65023) is a classic dollhouse with southern elegance. 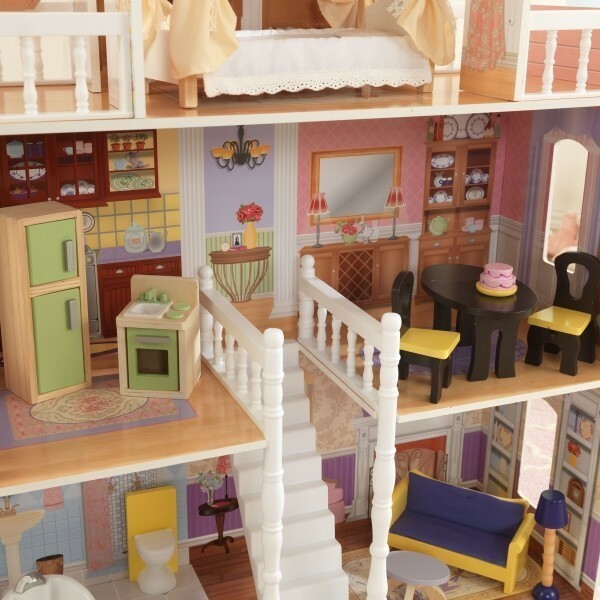 It is more than 120 cm high and has six rooms and two balconies, spread over four floors. 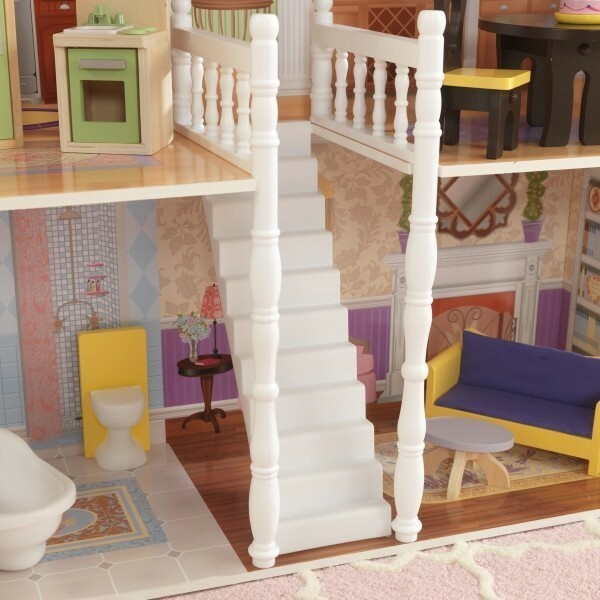 The really working balcony swing and the four-poster bed complete the southern atmosphere. 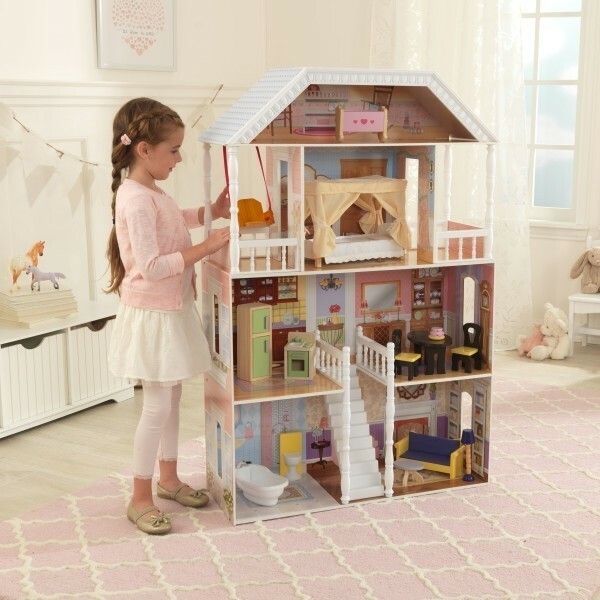 Your own beauty can play like a real Southern Belle because the Savannah Dollhouse from KidKraft (65023) is suitable for dolls up to 30 cm. 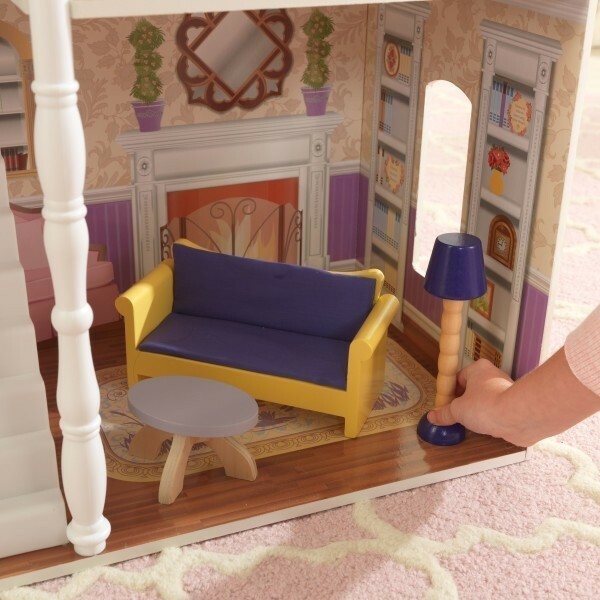 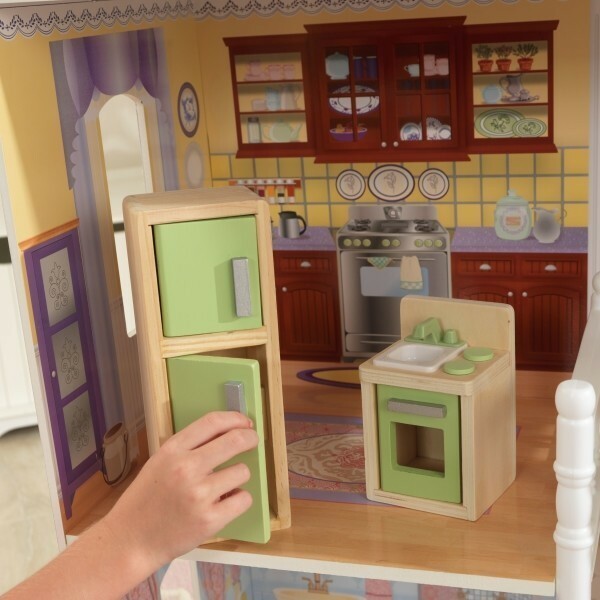 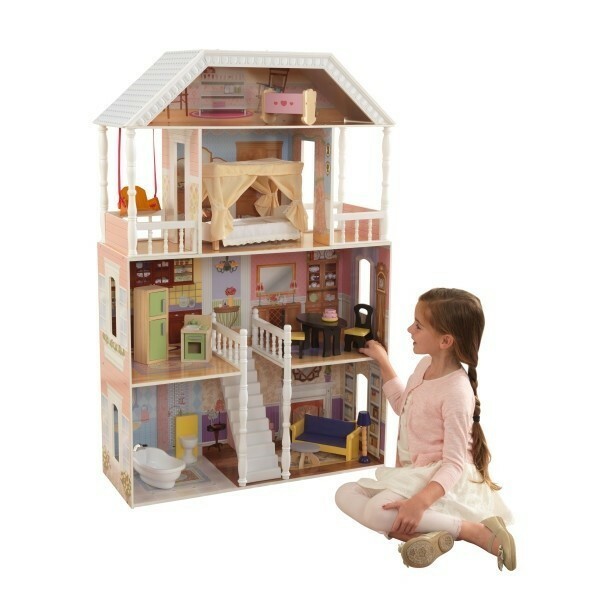 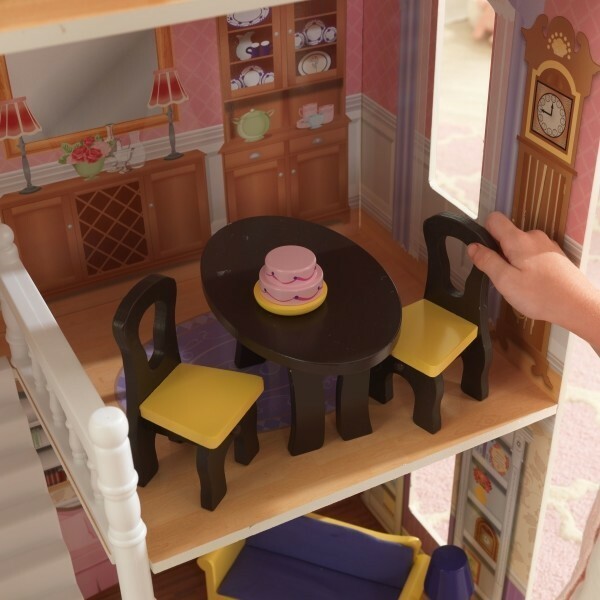 The Savannah dollhouse by Kidkraft is decorated with detailed stately hand-painted furniture. 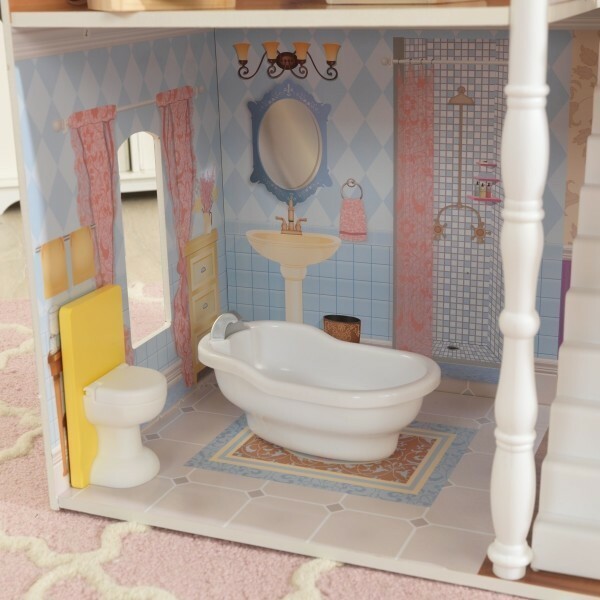 What else do you need to stimulate your imagination and entertain yourself for hours?